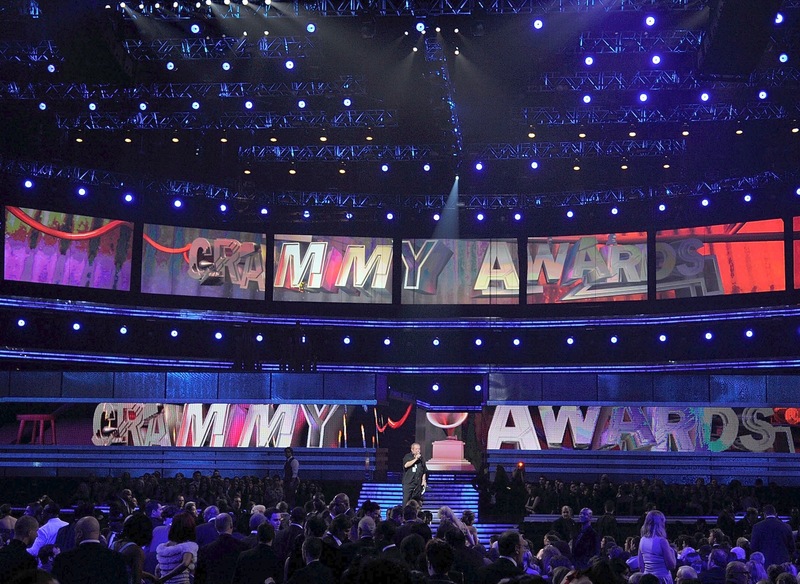 LOS ANGELES, California – HARMAN’s JBL loudspeakers were once again put to use at Sunday’s 56th Annual GRAMMY® Awards, with JBL VERTEC® line arrays comprising the live sound reinforcement system at the STAPLES Center and a JBL LSR6300 Series 5.1 surround sound studio monitor system used in the Television Committee Room. The annual GRAMMY Awards telecast, known as Music’s Biggest Night®, is presented by The Recording Academy® to honor outstanding achievements in the production and performance of recorded music. 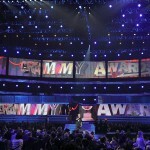 The GRAMMY Awards were broadcast live in HDTV and 5.1 surround sound on the CBS Television Network. More 28.5 million viewers watched this year’s Awards telecast. This year’s Awards were hosted by LL Cool J and featured performances by Paul McCartney and Ringo Starr, Madonna, Beyonce, Jay-Z, Bruno Mars, Katy Perry and more. Macklemore and Ryan Lewis earned Best New Artist, Lorde won Song of the Year for “Royals,” while Daft Punk won Album of the Year for Get Lucky, plus two other GRAMMY Awards. In addition, HARMAN’s Lexicon earned a Technical GRAMMY Award, which is presented to individuals and companies that have made contributions of outstanding technical significance to the recording field. ATK Audiotek provided the main PA system for the Awards ceremony, which featured four arrays each containing 12 VERTEC VT4889 fullsize line array elements, plus two arrays of six VT4880A fullsize arrayable subwoofers each. An additional 12 VRX932 Constant Curvature loudspeakers were used for front fill. The STAPLES Center also features a permanent JBL VERTEC line array system, which ATK Audiotek also utilized. The STAPLES Center system features eight arrays each containing between 11 and 13 JBL VT4889DP-DA powered line array elements, plus two fill clusters each containing four VT4889DP-DA elements, which are specially positioned to cover the end seating areas. The system also features four subwoofer arrays, each containing six VT4880A fullsize arrayable subwoofers.